Here’s the second part of our overview of the 22 Vuelta a Espana teams, their main protagonists and their eclectic mix of title sponsors. The final list of participants is subject to change in the last few days before the race, but these are accurate to the best of our knowledge at the time of writing. Overview: Pocket rocket Joaquim Rodriguez, third in this year’s Tour, second and third in last year’s Giro and Vuelta respectively, wingman Daniel Moreno plus countrymen and cohorts Alberto Losada and Angel Vicioso will be leading the GC charge for the Russians in anticipation of Purito finally mounting the top step in a Grand Tour. With few time-trialling kilometres and lots of steep summit finishes, this looks like the perfect parcours for him, but has Rodriguez sufficiently recovered from the Tour to mount a victorious challenge? Sponsors: An Italian sheet steel manufacturer and a Taiwanese bike manufacturer. Overview: Fourth in this year’s Giro, Michele Scarponi will lead the largely Italian team hoping to improve on his 2011 DNF. He’ll have assistance in the mountains from the wonderfully named Winner Ancona, Tour of Japan mountain king-pin Davide Vigano and recent Tour de Pologne stage winner Diego Ulissi. Sprinter Ariel Richeze will be looking to land a stage win after a number of recent top-three placings. Sponsors: The Belgian lottery and a Belgian window and door manufacturer. Overview: Jelle Vanendert will lead the team, having missed the Tour de France due to a viral infection and will target either the GC or stage wins – he’s yet to decide. He’ll have support in the mountains from Francis De Greef and Bart De Clercq who have both finished in the top 20 in previous grand tours. With Andre Greipel missing, it’s a rare chance for lead-out man Greg Henderson to chase personal success with the help of Adam Hansen racing his second successive trio of Grand Tours. We can also expect the pairing to keep us regularly amused on Twitter. Overview: Former Vuelta winner and last year’s runner-up, Alejandro Valverde will be leading the team with support from Giro top-ten finisher Benat Intxausti, Sylwester Szmyd and Eros Capecchi – sixth placed in the Tour de Pologne. Unlike last year, he won’t have the services of Colombian superstar and Tour runner-up, Nairo Quintana, who is back home enjoying a hero’s welcome before racing the Tour of Britain. But he’ll be able to call upon the services of experienced road captain Pablo Lastras and the older of the two Herrado brothers, Jose Herrada. Sponsor: A US provider of storage and data management solutions and a Scottish manufacturer of bike wear. Overview: The team is preparing for its maiden Vuelta with the help of former pro and Vuelta technical director Inigo Cuesta, who has ridden the race 17 times. The team includes Tour of California queen stage winner Leo Koenig, Jose Pimenta, Iker Camano and David de la Cruz for the key climbs. 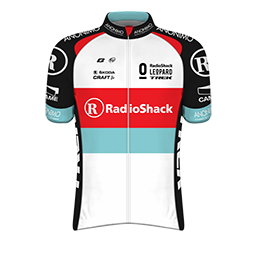 As a wild card team, expect the riders to animate the breaks and, like Caja Rural, perhaps target a spell in the mountains jersey in the early stages. Sponsors: A Belgian pharmaceutical company and a Belgian laminate flooring manufacturer. Overview: With their mix of young and experienced riders, who can challenge on a variety of parcours, OPQS are coming to the Vuelta with their eyes fixed firmly on stage wins. For the TTs, they have world champion Tony Martin, getting ready to defend his title. Also in the team is red hot Zdenek Stybar, who just took two stage wins and the overall at Eneco Tour, and Gianni Meersman, who’s won five sprint stages this year, and Andy Fenn. In the mountains, the team will look to Kevin De Weert and Serge Pauwels. Sponsors: A conglomerate that provides chemicals and explosives for the mining industry and a wealthy Australian businessman. usual, the team will be targeting stage wins on a variety of terrains and looking to replicate their incredible Tour success. But please! No more bus-related incidents. Sponsors: A US electronics retailer and a Luxembourg businessman. Overview: With confirmation that Trek are taking over the team next year, look for the boys to continue their winning ways after a splendid Tour de France. Limbering up for his assault on the Tuscan terrain at the world championships is the Sacred Haunches™ Fabian Cancellara. The team has a number of potential GC contenders including the evergreen Chris Horner (Tour of Utah’s runner-up), Robert Kiserlovski – 15th on GC at the Giro – and Haimar Zubeldia. Sponsors: A Danish and a Russian bank. Oliver Zaugg round out the roster’s climbing talent. Perhaps they’ll be going for the best team prize after success in that competition in the Tour. Overview: Young Colombian Sergio Henao, third overall at recent Tour de Pologne, leads the team, which includes an impressive line-up of experienced riders (and Brit rookie Luke Rowe) capable of delivering him a podium placing. He’ll have the pacing power of Edvald Boasson Hagen, Vasil Kiryienka, Christian Knees and Xabier Zandio plus company in the mountains from Giro d’Italia runner-up Rigoberto Uran. Overview: The team have had a disappointing season, weighed down by the burden of looking for replacement sponsors, so a stage win here or a good overall placing wouldn’t hurt anyone still looking for another team. No doubt they’ll continue with their strategy of aggressive riding that finds favour with the fans, particularly from the Dutch national road race champion, hard-man Johnny Hoogerland. Led by Juan Antonio Flecha, their best bet for GC is probably Thomas De Gendt, or maybe Astana-bound Lieuwe Westra, but they’re more likely to go for stage wins. Previous PostVeloVoices Fantasy League is open!